Let's be honest. Unless you're a morning person, waking up on a weekday is one of the hardest things to do. The SensorWake aims to ease the transition between sleep and waking up. Created by teenage entrepreneur Guillame Rolland, the clock releases a pleasant odor to help speed the morning process along. A variety of cartridges, each with a different smell, are designed specifically for the SensorWake. 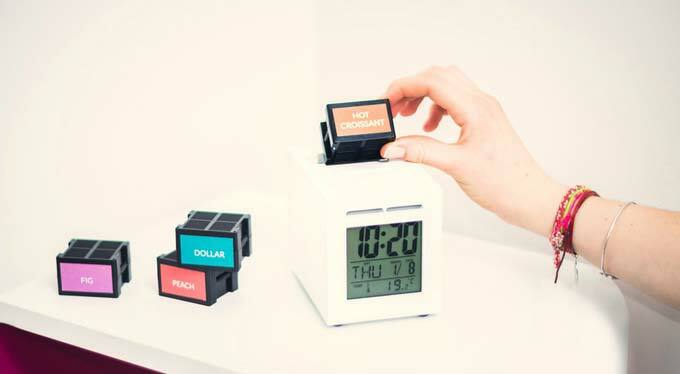 The user simply inserts the desired one into the alarm clock, sets it and goes to bed. In the morning, the clock will release the pleasant aroma designed to wake you up. Different smells include: Bacon & Orange Juice, Espresso and Chocoalte Croissants, Ginger & Peppermint and Sweet Peach & Strawberry Candy. Beginning as a Kickstarter campaign with a $54,000 goal, the SensorWake raised more than $130,000 with 20 days left to go. The SensorWake will cost you about $119, not including the individual scent pods. Each pod will cost $9 and is 100% recyclable. SensorWake starter packs will come with a few free scent pods.